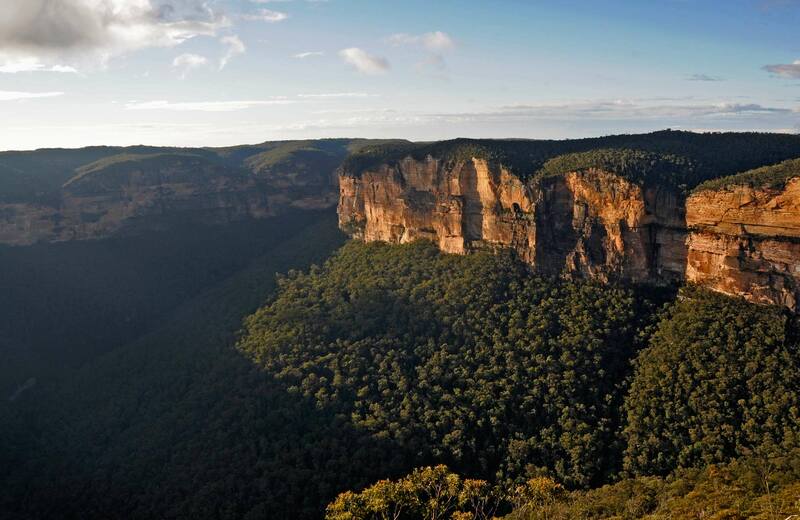 Wadbilliga Road drive is a 4WD touring route that takes you through an incredible range of terrain and environments within Wadbilliga National Park. This 4WD and mountain bike trail takes you past historic Major Clews Hut, near Khancoban, in western Kosciuszko National Park. Reconnect with nature as you walk, mountain bike and fish for trout along Bullocks walking track, which follows the Thredbo River valley past historic Bullocks Hut, in Kosciuszko National Park. Landers Falls lookout walk, tucked into the forest between Tumut and Kiandra, wows you with dramatic views of Landers Creek waterfall plunging into the rocky gorge above Talbingo Reservoir. Round Mountain Hut walking track winds through the Jagungal Wilderness Area in central Kosciuszko National Park. A great Snowy Mountains walk or ride, it offers view and spring wildflowers on its way to the rustic hut.